The establishment of the Coastal and Inland Shipping(Cabotage) Act 2003 (the Act) to restrict the use of foreign vessels in inland and coastal shipping trade and promote the development of Indigenous man power in the Nigerian maritime industry. 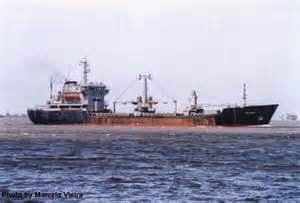 Under the Cabotage Act, only Nigerian-built vessels wholly owned and manned by Nigerian citizens may engage in coastal trade or cabotage within Nigerian waters. Foreign vessels or tugs cannot tow within Nigerian waters except when rendering assistance to persons, vessels or aircraft in danger or distress. 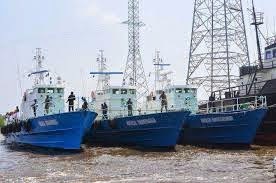 Nigerian waters include coastal, territorial and inland waters, and islands or waters within the Nigerian Exclusive Economic Zone of Nigeria. Hon, Emeka Ihcdioha and Hon. Ifcanyi Ugwuanyi of the Federal House of Representative sponsored a bill to the legislative house for the amendment of the Act. This bill is an obvious reaction to the pronouncement of the Nigerian Federal High Court; Lagos Division recently issued its decision in “Noble Drilling Nigeria Limited v Nigerian Maritime Administration and Safety Agency”. The Plaintiff, Noble Drilling (Nigeria) Limited, an offshore drilling contractor operating in the Nigerian oil and gas industry, was of the opinion that its activities within Nigerian territorial waters (drilling operations) did not amount to “coastal trade” or “cabotage” as defined under the Cabotage Act. The Plaintiff sought a determination from the court on the questions of whether drilling operations fall within the definition of the “coastal trade” or “cabotage” under Section 2 of the Cabotage Act; whether, upon a proper interpretation of the Cabotage Act, drillings rigs fall within the definition of the ”vessel”; and whether the Minister of Transportation acted ultra vires his powers under the Cabotage Act to make regulations by including “Rigs” under the classification of vessels to be subject to waiver fees in the Guidelines on Implementation of Coastal and Inland Shipping (Cabotage) Act 2003; revised and issued in April 2007 (the Guidelines). The Defendants on the other hand contended inter alia that the definition of the word “ship” or “vessel” includes a drilling rig and so the use of a drilling rig in the coastal trade or cabotage is as defined in Section 2 of the Cabotage Act. They also contended that since drilling rigs carry oil, mud and other substances from the sea bed to the surface, they are vessels within the contemplation of Section 2(a) and 2(d) of the Cabotage Act. The decision of the court was greatly influenced by the definition given to the word “vessel” in the Cabotage Act. Under Section 2 of the Cabotage Act, a vessel is said to include “any description of vessel, ship, boat, hovercraft or craft, including air cushion vehicles and dynamically supported craft, designed, used or capable of being used solely or partly for marine navigation and used for the carriage on, through or under water of persons or property without regard to method or lack of propulsion;” In this case, the court stated that the Defendant failed to show that a drilling rig is “designed, used or capable of being used solely or partly for marine navigation for the carriage of persons or property through, on and under the water” and so a drilling rig could not be a vessel. Furthermore, the court was quick to point out that drilling rigs were not expressly mentioned as one of the vessels eligible for registration under Section 22(5) of the Cabotage Act and that the phrase “marine navigation” is crucial to the definition of a vessel under Section 2 of the Cabotage Act. In reaching it conclusion, the learned judge went on to state that the process of navigation was a horizontal movement and so a drilling rig that exist solely to move crude oil from the oil well to the surface of the sea cannot be termed a vessel within the purview of the Cabotage Act as its operation amounts to a vertical movement of goods (crude oil). In addition, the court held that the listing of rigs under the caption “Foreign vessels” in clause 9.1.1 of the Guidelines issued by the Minister of Transportation in April 2007 was wrongful on the ground that a drilling rig did not fall within the definition of a “vessel” under Section 2 of the Cabotage Act. The court however held that the Minister of Transportation did not act outside his powers to make regulations under Section 46 of the Cabotage Act with regards to the provisions on “Rigs” in the Guidelines. 2) An alteration to Section 2b of the Act i.e the definition of cabotage that replaces “persons” with “passengers” . 4) “Transportation” from the definition of Cabotage in Section2 (d) of the Act. 5) An alteration to extend the definition of “place above Nigerian waters” under the Act to include “pipe rigs”, “FPSOs” and “floating, storage and offloading platforms(FSO).” Also to expand the meaning of “vessel” under the Act to include “rigs”, “FPSO” and “FSO”. Furthermore to expand the list of vessels eligible for registration to include: “rigs”, “FPSO” and“FSO”. Also, a surcharge of 2% of the contract sum performed by any vessel engaged in cabotage is Payable. The application of cabotage to drilling rigs and the like will trigger the need for the operators of such vessels to pay the surcharge together with the 1% Nigerian Content Development Levy and ensure compliance with the provisions of the Act. This will definitely increase the cost of doing business for those companies. It is therefore important for the oil producing companies involved in drilling operations in Nigeria to proactively evaluate the l implications of the proposed Amendments.The proposed amendment provides that the utilisation of any vessel in any marine activity of a commercial nature will be subject to the Cabotage Act and specifically lists rigs and similar vessels as cabotage vessels.